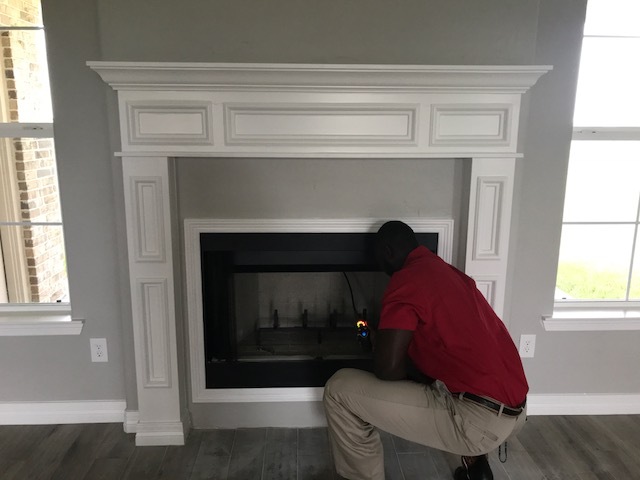 Our home inspection offers a structural and mechanical inspection that adheres to the criteria set forth in the InterNACHI Standards of Practice. We provide an exhaustive examination using the most advanced technology available. We use tools such as thermal imaging. Moisture readers. Outlet testers. Pools and spas can be relaxing and therapeutic additions to any home, but only if they’re safe and properly maintained. We provide a comprehensive inspection using guidelines recommended by the National Swimming Pool Foundation along with InterNACHI Standards of Practice, to increase your safety and enjoyment for years to come. Thermal imaging inspections provides us with a picture of a specific condition of a home or building. Infrared cameras allow us the ability to see and locate what the naked eye is unable to detect. Infrared images can capture thermal anomalies from moisture or water damage, radiant heating system leaks, roof leaks, stucco, EIFS, chimney staining and window leakage. Infrared Scans are able to locate water and moisture intrusion in buildings by thermal patterns. Radon is a cancer-causing radioactive gas. You will never be able to see, smell or taste radon, but it may be a problem in your home. Radon is the second leading cause of lung cancer in the United States today. If you or someone your living with smokes and your home has high radon levels, the risk for developing lung cancer significantly increases and puts you at high risk. Also called a termite inspection, this visual inspection, or WDI (Wood Destroying Insects) is conducted to look for signs of infestation or damage to a structure by wood-destroying insects. Pest Inspections include thorough examinations for: • Wood-destroying pests, such as termites, carpenter ants, rot fungus and wood-infesting beetles. In addition to wood-destroying pests, we also search for rodents, pest droppings, evidence of nesting, holes & gnaw marks, pest control products in the home, etc. A condo inspection EXCLUDES the Roof, Site, Exterior, Insulation, Attached Garages/Carports and sometimes the Structure. These systems typically are owned/maintained by the Home Owner’s Association. A typical manufactured house does not provide access to the attic space. Rarely is there an attached garage. Includes the entire roof and all units. Includes entire roof and 4 to 8 randomly chosen apartment units. Please call for a price quote. A commercial building is more involved and may require a field visit for an accurate price quote. Let Us Inspect Your Investment. Exceeding Your Home Inspection Expectations. Legendary Inspection Group, LLC proudly provides home inspection services including radon, thermal and pool to the “Golden Triangle” – Jefferson County, Orange County, Harris County, Liberty County, Hardin County, and Galveston County Texas. Legendary Inspection Group, LLC, our job isn’t complete until you feel comfortable and all of your questions and concerns are answered. We love hearing from you anytime! Call or email us if you have any questions or use the online scheduler to set up a home inspection.